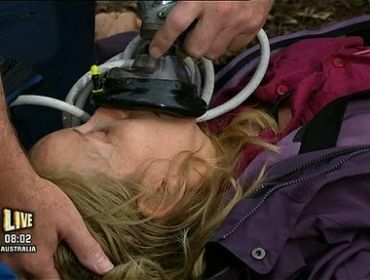 TV nutritionist Gillian McKeith should be removed from I’m A Celebrity, Get Me Out Of Here because she is a faker and doesn’t try in any bush tucker trials. And she fakes passing out on live TV. She then lies about not being able to do them to her camp teammates on the trial called unfair ground then she apparently passed out on November 21st when she found out she was doing the trial. She has not tried in any trials.She has been voted to do 7 trials in one week. They cannot eat because of her lack of stars. At the unfair ground. After passing out 2nd place voted for Linford Christie did the trial he managed to get 12/13 stars for camp.